A few drops of Tea Tree Oil rubbed on clothing or thinly applied to lower legs can provide protection from ticks. But how does tea tree oil repel ticks? Most parasites avoid the smell of essential oils as it irritates their senses or it interferes with their body function when they come into contact with it. Tea tree oil has a strong very distinctive smell which seems to hold ticks at bay. The tea tree is native to Australia’s swampy forests around Queensland. 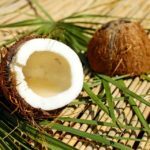 It has long been used by the Australian Aborigines to treat minor skin irritation and keep away skin and hair vermin. Today the essential oil is used as an effective remedy for many ailments. 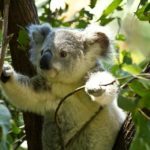 Tea tree oil is very useful in making natural repellent as it has quite a strong smell that irritates blood-sucking pests. Tea tree oil is inexpensive and non-toxic when used externally as recommended. 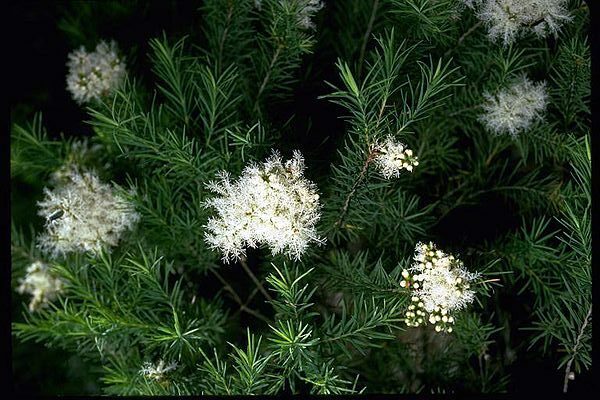 Tea tree oil is extracted from the leaves of the Tea Tree Melaleuca alternifolia by using steam distillation. The oil has two main components: Terpinen-4-ol and Cineole. The latter is considered an impurity. In high-quality tea tree oil, the levels of cineole are low. Sparingly rub a few drops of tea tree on the skin to repel ticks and other bloodsucking bugs. Also, apply below knee height on pants to provide an additional barrier against ticks. With Tea tree oil you may reduce the risk of tick bite in a natural way. The strong smell of Tea tree oil does repel ticks and keeps mosquitoes away. 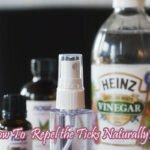 However, as with nearly all natural tick repellents or homemade remedies agains tick, none are as effective as chemically manufactured substances like DEET or Picaridin. People often fear potential side effects from chemical repellents but many of the natural repellents also may have side effects. Tea tree oil should not be applied directly to the skin in large amounts. A drop on an insect bite to stop the itch is fine. But concentrated amounts may cause irritation. To use tea tree oil as a repellent it is best to dilute it in a mixture using a skin-friendly base oil like Jojoba or Coconut oil. 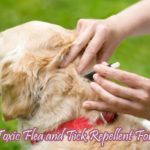 Does tea tree oil repel ticks on a dog using a tick collar? You can make a tick collar to protect your pet outdoors. To make one for an adult dog, start by making a mixture of almond oil or jojoba oil. Add 2 teaspoons of this oil to 1 liter of water. Into this mixture, add 5-7 drops of tea tree oil. You then take a cotton or nylon cloth and soak it in this mixture. Wait for it to dry before putting it on the dog. For smaller dogs and cats, dilute more. You can fortify your regular pet shampoo by adding 6-10 drops of tea tree oil to every 2 oz. of shampoo. Wash your pet with this mixture ensuring that it gets into all areas where ticks are likely to hide for example behind the ears, under the tail, and in the armpits. You should let the pet soak in the shampoo for 10 minutes before drying up the excess. There are also ready-made pet shampoos available that contain Tea tree oil. Tea tree oil is toxic to cats. It must NOT be used on cats. Since cats are very clean animals and permanently lick themselves in all parts of their body, Tea tree oil would enter their digestive tract. Tea tree oil contains terpenes and phenols, among others. Substances that the cat’s metabolism cannot digest or break down. As a result, they accumulate in the cat’s body and will cause poisoning, that can kill the cat. Only a few natural repellents may be used on cats, very effective are chemical spot-on repellents especially made for cats. Note: Do not try to remove a tick that is already attached for a blood meal by putting tea tree oil on it. This may trigger a shock in the tick, which leads to increased salivation and potential transfer of bacteria or viruses. In rare cases, Tea tree oil may cause skin irritation. To check for an allergic reaction before use, apply a very small amount to the skin inside your elbow area to test for any reaction. If a rash occurs consult your healthcare professional. Tea tree oil is for external use only. Avoid contact with eyes, keep out of the reach of children. If pregnant, consult with your doctor before use. Use only as recommended and do NOT take tea tree oil internally.